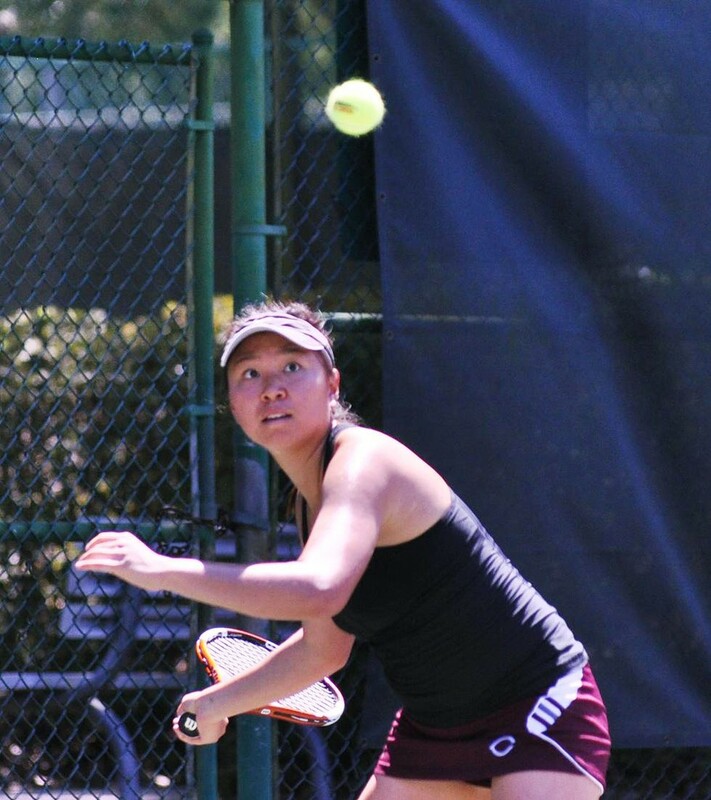 Megan Tang is a third-year on the tennis team from Clayton, CA. We chatted with her to get some insider info on the life of a Maroon athlete. Chicago Maroon: When did you start playing tennis? Megan Tang: I started playing when I was eight years old. CM: And when did you know you’d want to play in college? MT: Probably when I was competing in a lot of tournaments, so like, 12, 13 years old. CM: What did you like about it, at age eight versus now? MT: Well, it’s a very individual sport and I like that I can depend on myself for it. And it has a lot of different things you can work on, which keeps it interesting. There are a lot of strategies and strokes, as you probably know. It’s just a complex sport, and I think that’s what’s kept me playing it for so long. CM: What were the differences between when you were playing in high school and now, with the team here? You’re a third-year, so you’ve been on it a while. MT: Well, in high school, I actually only played for two years, and then I stopped playing high school tennis but I kept playing tennis on my own. Like, national tournaments and stuff. And so, playing tournaments, it’s really individual, like I said. And I didn’t really have anybody to play for, a school or anything. But now that I’m here I think I’ve gotten a lot better, coming to college, just because I have my teammates to play for and the school. That’s definitely a change. CM: What was the reason you stopped playing on the team in high school? MT: It was just that my area where I lived, the teams we were playing weren’t of a very high level. So it was just more beneficial for me to play on my own. CM: Do you follow professional tennis? MT: I don’t follow it enough. I should. CM: Do you have a favorite player at all, women’s or men’s? MT: Women’s, I really like Maria Sharapova. Men’s, Federer, I guess. Even though it’s kind of annoying that he wins all the time, but he’s just good to watch. CM: What’s the process behind preparing for the match? In practice, or the morning of. MT: Let’s see, well: During the weeks we do drills in the beginning of the week and then when it’s closer to the match days we play practice sets. And then, the day of, we usually just have light warmup and then we just go play. CM: What do you think about when you’re actually playing? What’s on your mind? MT: That’s a good question. I think, for me, I try to think about how I’m winning points and how I can play my strengths to my opponent’s weaknesses. And I guess I also, I probably shouldn’t be thinking about it, but I’m also thinking about how my other teammates are doing, because we win as a team and it’s not individual. CM: How much are you focused on the opponent? How much is about how you’re playing, and how much is about how she’s playing? CM: What’s it like to be a part of this team? Here at University of Chicago specifically. MT: It’s fun, because, again I was never really part of a team much in high school. We all train really hard together and it’s fun just to see all of our hard work pay off during the matches. CM: You’re a really small team. Do you feel aware of that? MT: Yeah, totally. My last two years here, we only had like seven people on the team. This year it’s a little bigger, like ten. But I think it’s good because then we’re all a lot closer since there’s a smaller number of us.